Here is how my week started. My 10-year-old: "Dad, get your keys. There’s a Pokemon down the street." Me: "A poke a who? And why is it on my street?" Unless you have agoraphobia or have somehow missed the sudden and random masses of huddled strangers all seemingly searching for a phone signal, you know about Pokemon Go by now. The popular mobile app was released last week to wild anticipation, and according to Digital Vision, the day after its release, the app had been installed on more US Android phones than Tinder -- proving that imaginary augmented characters that you can catch are more popular than real characters you cannot. Within two days of release, Pokemon Go was installed on more than 5 percent of all U.S. Android devices, and users were averaging more than 43 minutes a day on the app -- higher usage than Whatsapp, Instagram, Snapchat and Messenger. Along with parents, who have suddenly hit the jackpot for ways to get their kids out of the house, Nintendo is clearly having a good week. In just two days, the app added 11 billion dollars in market value (from its 17.1 billion dollar cap the day before its release). As of this writing, that increase is up to 15.1 billion dollars. About the only people who are unhappy right now are Canadians -- because they cannot download and use the app yet. So, while I missed the boat on the Pokemon craze as a kid, this trend -- and a nagging 10 -year-old -- got me curious. I asked my kid to tag along on some hunts, like a ride-along with a cop, except this public servant was ridding our streets of menacing cartoon characters rather than hardened criminals. I could try to explain what Pokemon and Pokemon Go is all about, but I would sound like I was explaining neuroscience in French to a Spanish physician. Instead, Vox explains Pokemon Go quite well, as does Entrepreneur, who now even has its own dedicated Pokemon Go category. What is worthy of emphasis is just how insanely popular this app has become, among adults as well as children (the latter of which do not have the benefit of transportation to rank up). And in spite of users finding dead bodies, getting injured and robbed and even potentially risking their online privacy, the lure of finding one of the 729 Pokemon characters is proving too difficult to resist. Apparently, we need to completely rethink Maslow’s Hierarchy of Needs. For me, there is a bigger business lesson to be learned from this all. A lesson -- not unlike a Pokemon -- that evolves the more we engage with it. For starters, Pokemon Go utilizes augmented reality by creating images that appear in front of you when viewed through a phone camera. Moreover, the app works with Google maps and locator, allowing the app to recognize your position in real time while presenting you with instant challenges. For marketers, the idea of knowing where consumers are and presenting them with an augmented experience -- in real time -- is the Holy Grail, and one that has been pursued, but never mastered, for years now. Pokemon Go, at least in its first week, seems to have hit the proverbial nail on the head -- and the investment community seems to agree. Also, Pokemon Go further emphasizes the importance of incentives in the consumer experience, or what is called gamification. For many of the same reasons children and adults become addicted to video games, Pokemon Go hits on all of the incentives humans react to the strongest. Like marketers, developing curriculum and lesson plans that hit on all of these elements is the Holy Grail for educators. 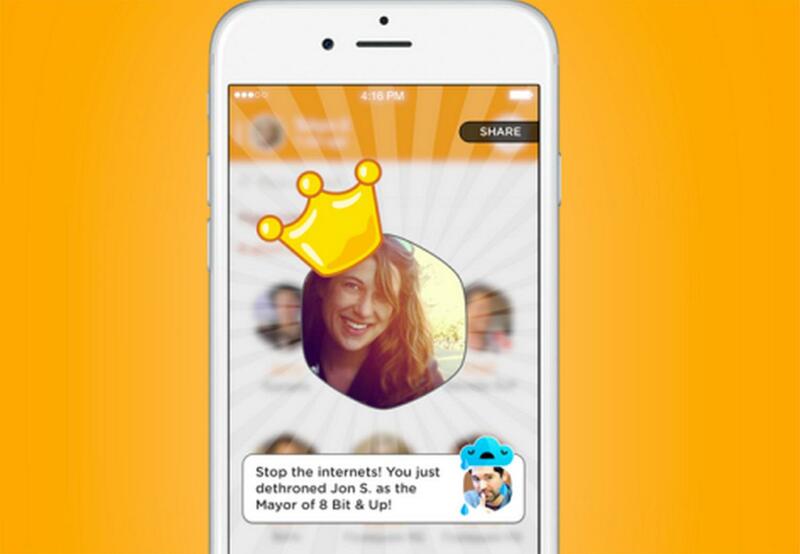 Another case study in incentives comes from Swarm, a mobile app that allows users to "check in" and share their locations within their social network. When the app was introduced in 2014, it was a spinoff from the popular Foursquare app, which was trying to position itself as a competitor to Yelp. After the spin off, however, both apps struggled to maintain user interaction (and excitement) because, as Foursquare users (myself included) found out, all of the incentives for checking in at locations were taken away. Over the past couple of years, however, Swarm has crawled back to relevance by added back incentives in the form digital coins for check-ins and re-instituting mayorships, allowing us to once again claim rule over our small sections of the world (even if imaginary). For entrepreneurs, understanding how to tap into the underlying human psychology and create better experiences for their customers is crucial, especially with the demographics and cultural norms that are evolving faster than a Raichu. While it is impossible to predict what will happen to Pokemon Go or the craze it has stirred, we can be certain that many more products and services that integrate this rapidly improving technology will follow -- and businesses need to be prepared. What is for certain is that anyone coming to my house because a Charizard is in my living room better be prepared to battle -- or a six-pack will do.